In case you missed anything, here's a recap of what was posted Saturday, July 16th through Friday, July 22nd. I should not have read this book. 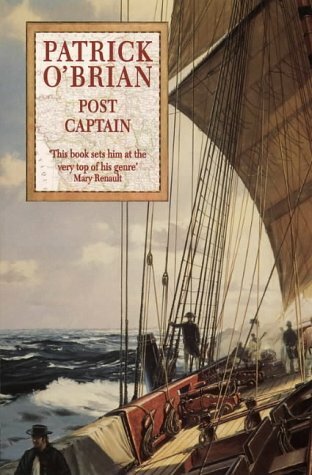 I've already read it (about fifteen times) and I have a gigantic stack of review books and another gigantic virtual stack of review e-galleys, not to mention my promise (that I'm actually enjoying) to my fiance that I would read the Master and Commander series (which is 20 books long!). So what in the world was I thinking rereading a book when I have all this obligatory reading staring at me and making me feel overwhelmed with stress? Well, because I was feeling overwhelmed with stress. So I turned to an old favorite for solace and I had a fantastic time doing it. So there. The main character Cat is one of my all time absolute most favorite characters ever. Ever. He may even be my MOST favorite character ever created. I've read so many books on the sole basis that the MC sounded like he might be a little like Cat, but so far no one has even come close. 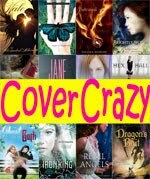 This is the second book in the series, but each book is a standalone and I actually read this book first. Yeah, still. I'm really enjoying it, but it's like a 500 page Jane Austen book with ships. It's not hard reading, but it's not easy reading either. This is the THIRD time I've tried reading Lisa McMann's books (Wake, which I finished but didn't like very much and Cryer's Cross, which I also DNF-ed). I feel like Lisa McMann is a beautiful round-peg board, and I'm a square peg. I just don't think we mesh very well, but I'm not sure exactly why. The story starts out briskly enough, but then sort of died off for me and I had a really hard time focusing on what was happening. I just didn't care. 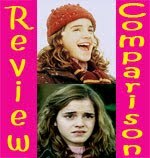 None of the characters had differentiated themselves at all for me, and by page 74 that seemed to me like a lot of reading to know zip about the characters. I had zero feelings about any of them. They could have been tortured, killed, or crowned kings and found everlasting love and I would have felt about as much emotion as I feel for watching paint dry. I just didn't get it. The world building didn't work for me either. There wasn't any explanation for anything. Now, granted, I read a small percentage of the book, so I'm sure there's plenty of explanation later on, but for me at this point it made about as much sense as a dream. Which is to say, it made no sense, but I got the impression that I was just supposed to go with it and not try to question it too deeply. I don't usually do well with things like that. That goes along with the whole feeling of the book, too. It felt very much like a bedtime story a parent would create for their children. Fun, but thin and simplistic where you're just supposed to go with it. Except that I wasn't having any fun. I was bored and irritated. But...lots of people are LOVING this book. I really wouldn't use my reaction as a basis for forming your opinion of whether or not you should read this book. I can't explain why, but I'm just really not the right kind of reader for Lisa McMann's writing style. Hmm, you know, I think I'll give The Unwanteds a try because I think I could potentially very much like it. I've never read anything by Lisa McMann to say for sure whether I'll like her writing style though. I don't think you should feel at all bad for reading a favourite book in the time of stress. I do it too. 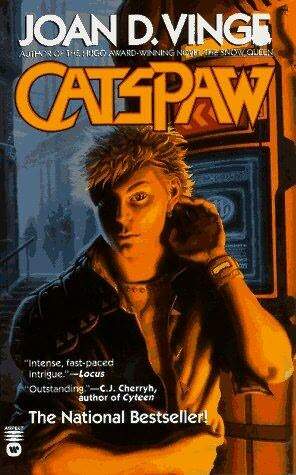 And now hearing that you've read Catspaw 15 times means of course that I need to add it to my lengthy TBR! 20 books!?! When I realized that Sherrilyn Kenyon's Dark Hunters series had that many books I gulped really loudly. It's hard to pick up a series when I feel that far behind! Logan, Whew, between you and Aylee I feel much better now :) Yup, 20 and a half, technically. He died in the middle of writing the 21st book and they published it unfinished. Apparently it's very sad to read. At least after this second book they get significantly shorter, though I am enjoying it a lot. I'll go check the comments! Too bad about Lisa's book. I think you either love or hate her style. I loved the raw prose of Wake. I didn't like Fade as much but I loved the internal character drama of Gone (whereas many people hated it for the lack of action). I haven't gotten to Cryer's Cross yet. 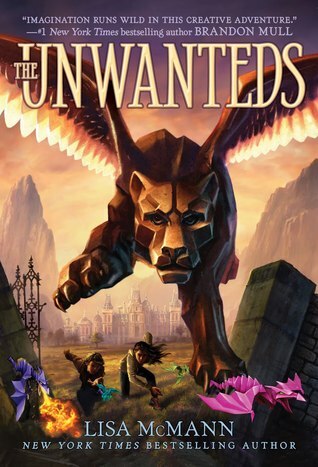 I'm sorry to hear The Unwanteds didn't work for you =( I've been really excited for that one, but I haven't started it yet. I was kinda meh about the Wake series, but I did enjoy Cryer's Cross. I'll be interested to see if I have the same issues with The Unwanteds as you did. Another busy week! Sorry to hear The Unwanted was a disappointing read. I like McMann's Wake series but I haven't been able to get into Cryer Cross or this either. Have a great weekend Small! Hi im a new follower! and Plain Kate has been on my wishlist ever! I think I might order it online and read it! yay. 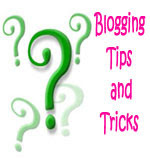 great post by theway and your blogs so cute. care to follow back mine? Alison, I agree, Lisa McMann’s style is very polarizing. I wish I were on the side that loved it. Nina, That does seem to be the case with Lisa McMann. Plain Kate flew by for me, and usually I’m a big scaredy cat when it comes to long books. Casey, Me too :( I hope you like The Unwanteds more than I did.